Animals have feelings too, just like us. And they also form special, unique bonds with each other. And there’s no animals to know the strength of a bond as a dog do. They are extremely loyal creatures and they don’t hesitate for a second to put their life on live for their loved ones. Merrill and Taco are no different. 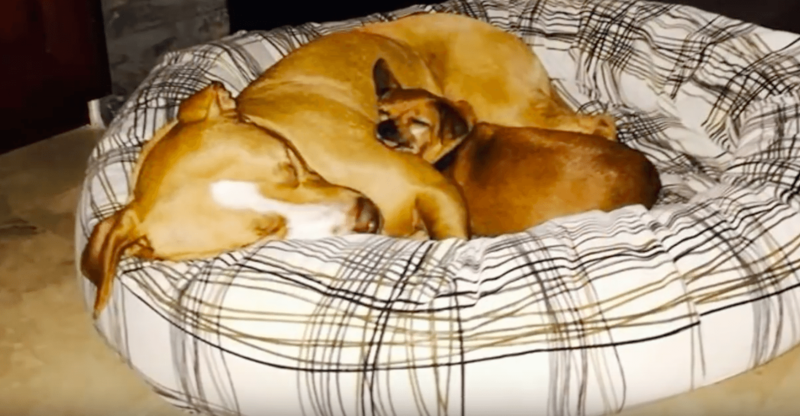 The three-year-old pit bull and Taco, a eight-year-old chihuahua are best friends. 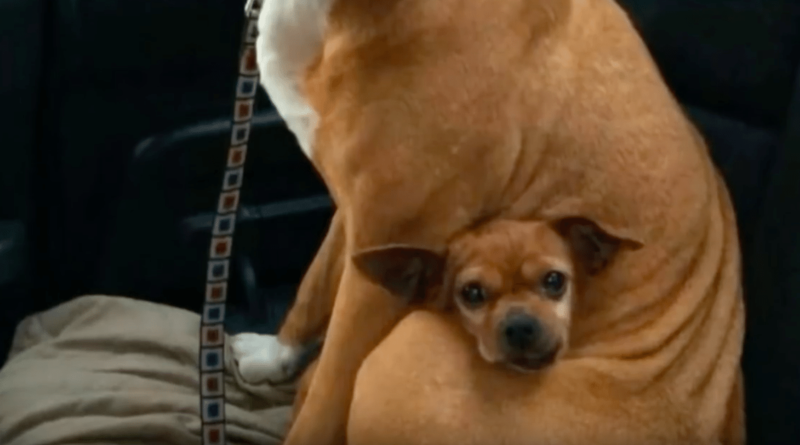 These two special pups have met at the Rocket Dog Rescue shelter, the place where they live for years. Since the first day they’ve met, Merrill and Taco were inseparable. And when Merrill needed surgery and its life depended on it, Taco proved how it is to have a real friend. The loyal dog, simply refused to leave Merrill’s side during the entire duration of the surgery. Now, it was Merrill’s turn to prove her loyalty to Taco. When a potential owner came in looking to adopt a dog, he fell in love with Merrill. But the pup refused to leave Taco’s side. 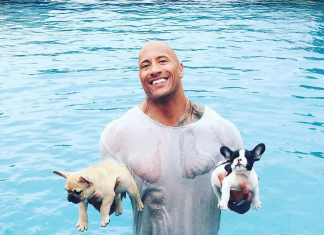 When the man came to pick Taco, both dogs were crying. It was clear they just can’t be separated. Fortunately, the adoptive father is a kind-hearted guy, so he decided to adopt them, both. And the inseparable pair was eternally grateful. Taco and Merrill are enjoying their new life together in their forever home. I am so glad they found a loving family and even more, they were able to stay together. It’s absolutely certain they will be very best friends for ever. 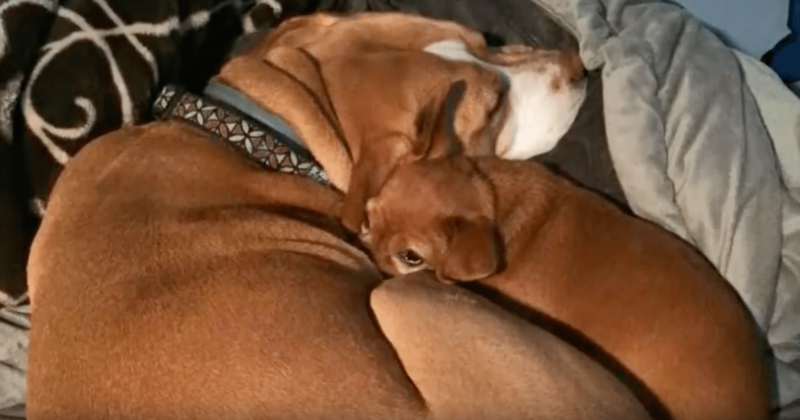 This heartwarming story is proof that some bonds can never be broken. When we love someone, we need to have them in our lives. It is fortunate that this owner was so compassionate and full of love.